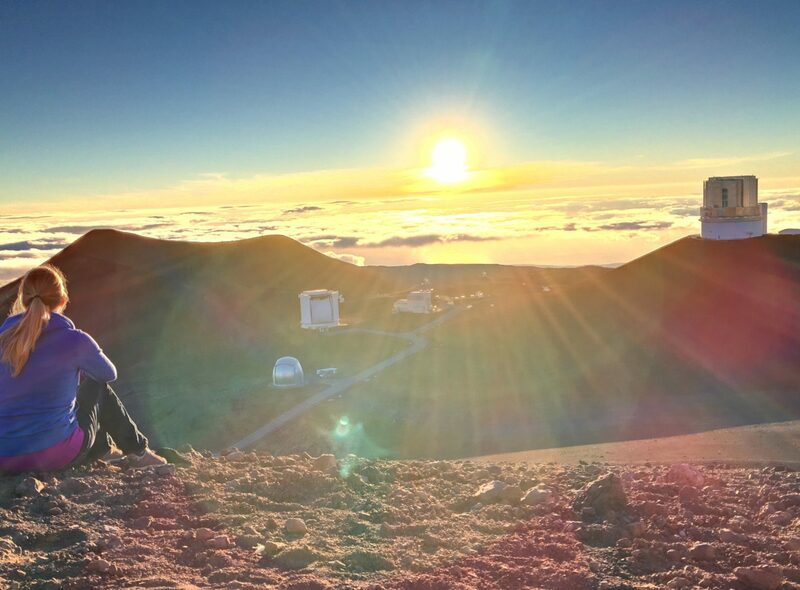 While you’re visiting Hawai’i Island, take a day trip to Mauna Kea for an unforgettable journey above the clouds. Here’s how to make the most of your experience. Whenever I travel across unspoiled wilderness, I can’t help but think about the people who lived centuries ago. What was it like to trek across the land in a time before cars, even before roads? Back then, out of necessity, people had a much closer relationship with the land. Rather than viewing it as separate — as other — from behind a car window, our ancestors were one with nature, both the good and the bad. More immersed in its beauty, but more vulnerable to its dangers. Unsheltered by technology, they were more urgently connected to the web of life. 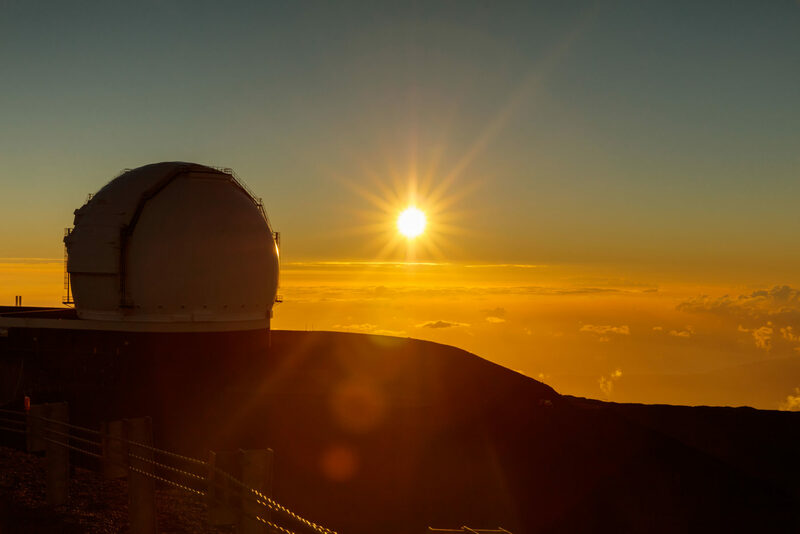 So it’s no surprise that our ancestors respected and even worshipped awe-inspiring natural wonders such as Hawaii’s majestic Mauna Kea. 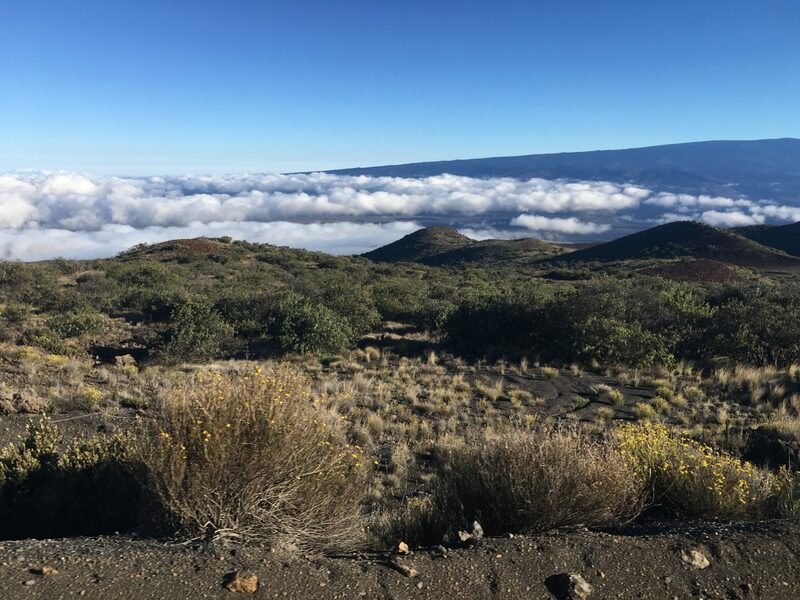 This dormant volcano on the Big Island rises more than 13,000 feet above sea level, towering over the clouds as the tallest peak in Hawaii. 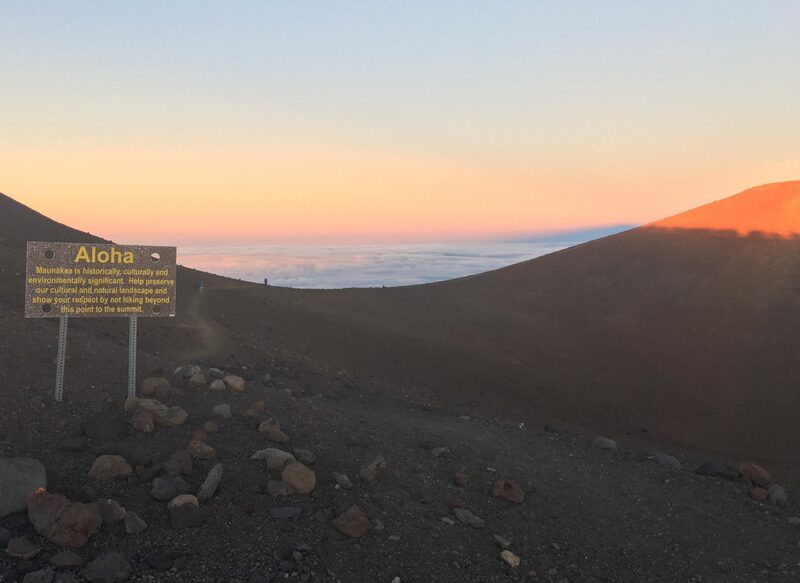 Known as the realm of the goddess Poliʻahu, Mauna Kea is a sacred spot that’s woven into the fabric of the island’s mythology. For hundreds of years, Hawaiians have climbed the mountain to create shrines and seek divine aid and understanding. The mountain is also a prime location for astronomers. 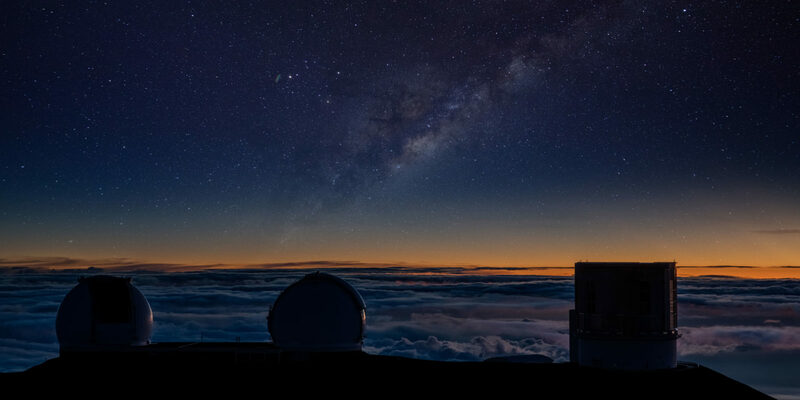 In fact, eleven countries have thirteen telescopes at the summit, taking advantage of unobstructed views of the starry sky. 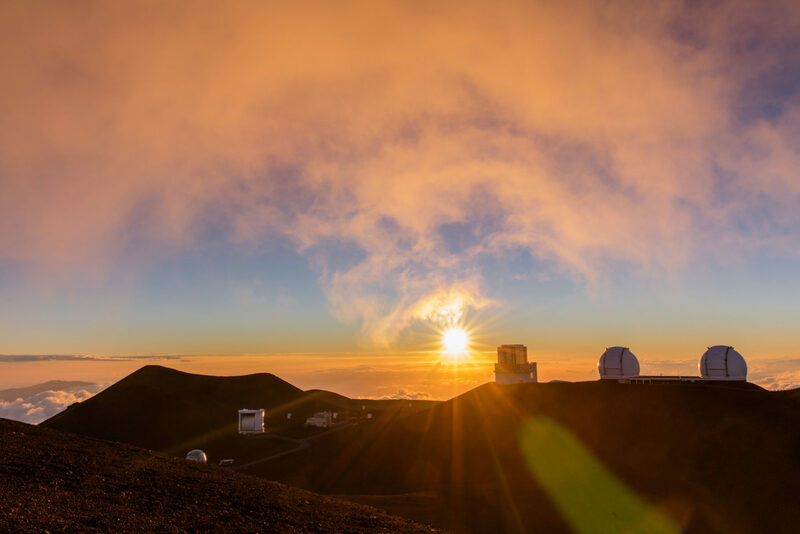 Because of those breathtaking views, Mauna Kea is one of the island’s most popular tourist attractions. But it beckons visitors with more than the promise of pretty sunsets — it envelopes them in a feeling of being more connected to the Earth, just like their ancestors. During my Big Island stay, I was lucky enough to visit this magnificent peak twice. Along the way, I learned that there are a few things you need to know to make the most of your journey. The ascent is divided into three parts: a gently sloping drive to the visitor center at 9,200 feet, an hour or so of acclimation (more on that later), and then the drive up a steep, gravely road to the summit. To navigate the latter part of the excursion, you must be driving a 4×4 vehicle. My companions and I rented a Jeep, but because of the series of steep switchbacks, we had to drive cautiously. Personally, I didn’t mind moving slowly — it gave me more time to soak in the incredible views of brown and green mountains, fluffy layers of clouds and expansive skies. 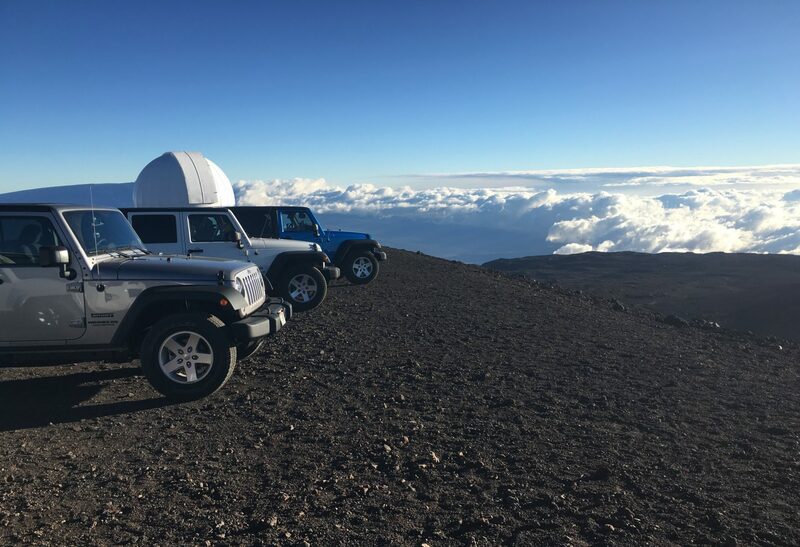 Make sure your car rental agreement covers a Mauna Kea ascent. If you’re not comfortable driving to the summit, you can choose to go on a guided tour instead. It’s not every day you frolic at 13,000 feet, so do your body a favor and spend plenty of time acclimating to the elevation. The best way to do this is to make a pit stop at the Visitor Information Station. It’s recommended that you stay there for at least an hour, although the longer you spend acclimating, the easier the ascent will be on your body. Luckily, there’s plenty to do at the station. You can admire the views and take photos, learn about local culture, astronomy and wildlife, or peruse the gift shop. While I was there, I also peeked into a solar telescope and meandered along a hiking trail. Certain people are advised against proceeding to the summit, so do your research in advance. Don’t forget to check current weather conditions and pick up a safety brochure while you’re at the Visitor Information Center. Bring snacks and warm clothes. Be prepared for an intense temperature swing. At your resort, it may be shorts and T-shirt weather, but the summit could be at least 40 degrees cooler. The first time I went up, it was incredibly windy, and I shivered despite wearing gloves, a scarf and a winter coat. The second night was calmer but still quite cold. By bringing layers, I got to focus on the amazing scenery instead of keeping my fingers and toes warm. You’ll also want to stay energized by drinking lots of water and eating a snack while you’re at the Visitor Information Station. You may want to bring your own food, as the gift shop offerings are limited. Keep in mind that there are a few port-a-potties at the summit, if you need them. For an unforgettable experience — and unbeatable photos — aim to be at the summit during the magic hour. To do this, plan to get to the Visitor Information Station a few hours before the sun sets. You’ll have plenty of time to acclimate, drive to the top and explore for a while. Then simply settle in and watch with wonder as the sky puts on a colorful show. At the Visitor Information Station, you can watch an interesting video about Mauna Kea’s role in Hawaiian mythology. For me, the story added historical context and a rich sense of culture to the journey. Later, when I walked along a trail by the Visitor Information Center, I came across an ahu lele. Standing next to this place of offering, I saw a Hawaiian woman singing a prayer. It was a beautiful reminder that Mauna Kea is first and foremost a place of great cultural and spiritual significance. Make sure you treat it accordingly.